Cosmetic Acupuncture is a specialist field of Acupuncture aimed at improving the skins appearance naturally. It is also known as facial rejuvenation acupuncture. It is a gentle yet effective alternative to western Cosmetic surgery, botox, collagen injections, dermabrasion etc. Although it is commonly called cosmetic acupuncture, the treatments are part of a specialty field of Traditional Chinese Medicine (TCM) that use a combination of Acupuncture, Tuina (finger acupressure) Chinese Herbal Medicine, and Chinese Dietary therapy. It differs from all other treatments in that all treatments are unique to your constitution, based on your presenting TCM diagnosis, which is determined by Pulse, tongue and facial diagnosis. Cosmetic Acupuncture has existed in China for centuries and was one of the primary beauty secrets of the wealthy and powerful women of Ancient China. It is recorded during the Sun Dynasty nearly 800 years ago. However, it was not until the 1970’s that it received formal recognition in modern China. Cosmetic Acupuncture is a holistic treatment, which focuses on creating beauty from the inside out. Unlike other facial treatments, your entire health is improved during treatment leaving you feeling younger as well as looking younger. Cosmetic Acupuncture is a fraction of the price of Botox, Collagen & Restylane injections & Cosmetic Surgery and it is safe, with no recovery time and treats the entire body. Up until recently Cosmetic Acupuncture had remained one of the best kept secrets of Hollywood’s rich and famous. This has changed with the publication of articles in many magazines telling us that celebrities such as Madonna, Prince William, Cher, Angelina Jolie,Claudia Schiffer and Gwyneth Paltrow find Cosmetic Acupuncture effective in their battle against time. Specialist clinics now exist in Ireland and the UK devoted exclusively to acupuncture facial rejuvenation. Cosmetic Acupuncture is increasingly being used by less well-known identities whose appearance is vital to their work such as models, actors and those in professions in the public eye. These treatments are especially popular with individuals who need to look young and want to achieve this in a holistic way that improves their overall health on all levels. Immediately after a treatment skin looks firmer with improved muscle tone. Pores also appear smaller and there is an improvement in facial colour. Most patients notice an improvement in their complexion, firmness of skin and brighter eyes after the first treatment. 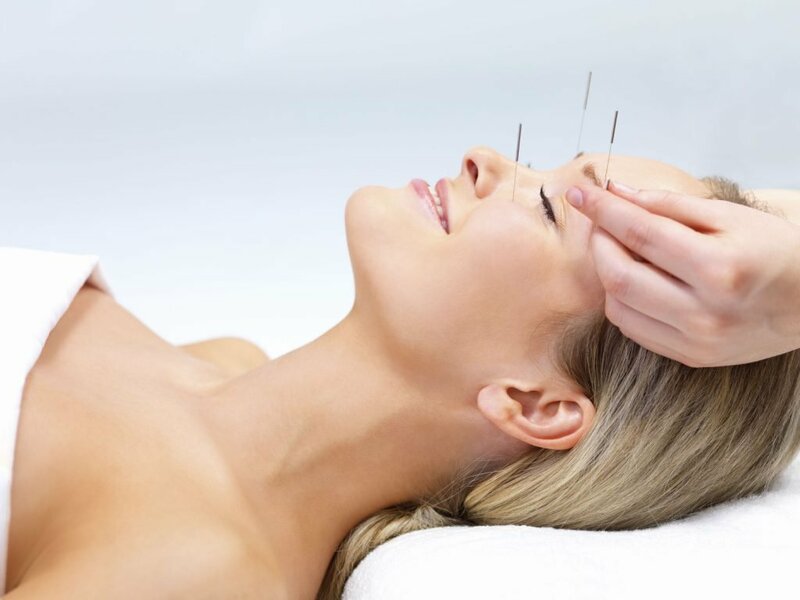 Research conducted by the Journal of Clinical acupuncture found cosmetic acupuncture to be effective. The trial was on 300 people, 90% of patients saw results after one treatment. However it may take 6 to 7 treatments for these results to appear in more severe cases. 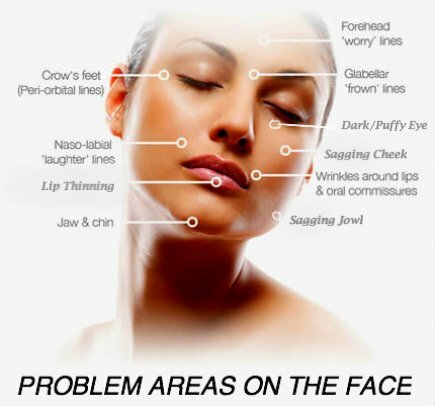 8 treatments are recommended if you are just noticing fine lines and minor issues are appearing and have no major health problems. If you have already developed significant wrinkles and other more major issues it is recommended that you complete 12 treatments as there will be significantly more internal imbalances in the body and this requires more time and more comprehensive treatment. To achieve long lasting results 12 weekly treatments are recommended. Every individual reacts differently to treatments. Individuals that respond strongly to treatments may get lasting results for 3- 5 years and others may need to repeat a course or 2 of treatment every year. Treatments are offered as a package of 12 sessions and also singularly. Intensive treatments are also offered to enhance your skin’s appearance for special events. These treatments run over a shorter period of time and are tailored around your time schedule. These treatments are very popular with performers, models etc. What is the Best Age to Commence Cosmetic Acupuncture Treatments? Treatment can be started at any age, but the ideal age is in the late twenties/early thirties, to prevent as many signs of aging as possible. It is also best to get treatment as soon as you notice a change in your face. The longer you leave an imbalance, the longer it takes to bring the body back into harmony. Cosmetic Acupuncture will help you age better as the benefits of this type of treatment are accumulative. Because it works by optimizing your internal organs it does mean that you will look better for your age than your peers. You may not notice this immediately but as the years progress it will become obvious. Are There Any Side Effects to Cosmetic Acupuncture ? Cosmetic Acupuncture & Cosmetic Chinese Herbal medicine treatments are very gentle & safe. After treatments it is common for the skin to appear slightly flushed for a few hours. This is very normal due to the increased circulation of blood to the face. Very occasionally minor and temporary bruising may appear at the site of needle insertion. Most people feel very relaxed and peaceful after treatments and look forward to their next appointment. Your face reflects the vitality and overall state of your health. By reading the face using facial diagnosis it is possible to determine many health imbalances simply by observing specific features. For example the colour of your complexion, tone, discolorations, blemishes, where fine lines appear, or even moles. Our faces are unique and reveal many health issues, as well as personality traits. In China they use face reading not only to diagnose health problems but also to predict the future of the individual. The Meridians (carry energy and blood) around the whole body and run from the feet to the head (similar to the circulatory system, but more subtle). This circulation of energy is vital to the health and wellbeing of the overall body. The meridians connect internally with all the organs of the body. If there is a health problem with any one of the organs it directly affects the energy circulating in the meridians around the body and is clearly visible in the face. Different areas of the face correlate to specific internal organs. So if you have a problem that repeatedly happens in a certain area of the face (discoloration, wrinkles etc), it is because of an internal health problem. Hence “your face is a mirror of your internal health”. When the internal imbalance is restored to health, not only does your facial appearance improve but your health as well. Why Does The Acupuncture Zone Complete Cosmetic Transformation Package Run For Twelve Weeks? By treating the face for twelve weeks not only does it mean that you go through two and a half cycles of complete skin renewal but it also enables three levels of treatment. The Acupuncture Zone Complete Transformation Package treats all levels of the body- superficial, medium and deep. This enables a reprogramming of the internal organs, revitalising and energising the entire body. Many people notice a dramatic shift in their health during this time frame from our specialised package which is fine tuned to treat your individual constitution. By strengthening the internal weaknesses it means that your health and vitality is optimal and that will be reflected in your face, body and mind. Who Is The Acupuncture Zone Mini Cosmetic Package Suitable For? The Mini Package whioch lasts 8 weeks is designed for clients who want to enhance their appearance with acupuncture facials. It is optimal for clients aged between 20-40 (or have minimal lines and health issues). This package tightens the skin, improves complexion and treats fine lines. It is designed to slow down the ageing process of the face. The Acupuncture Zone’s Clare McSharry trained at the Zen Ren College. Zen Ren Cosmetic Acupuncture is the only specialist Traditional Chinese Cosmetic Acupuncture & herbal medicine college in Europe, with James O’Sullivan & Hung Tsui Ying the leaders in the field being fully accredited Traditional Chinese Medicine & Acupuncture practitioners. They have trained extensively in this unique field in Taiwan, Japan and China and lecture in this therapy extensively. They are visiting lecturers to Beijing University of Chinese Medicine and Zhejiang University of Chinese Medicine. Cosmetic Acupuncture has been receiving fabulous reviews in the media and has been featured on the television shows, as well as in articles in all the major newspapers.